If you want to get your Blood Boiling, then you should deal with this crowd. 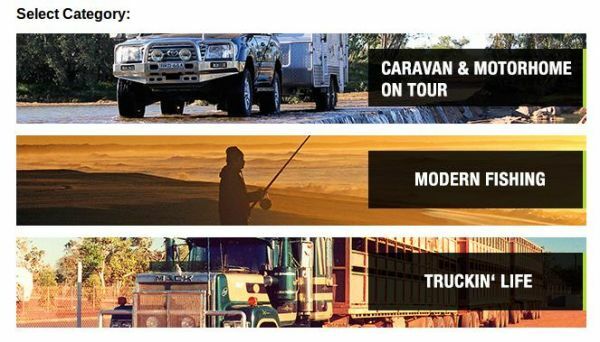 I subscribe to a Caravan Magazine, and always use Magstore, as the place to buy my online subscription from, generally the transactions go quite smoothly, and with any bonus items they include, are dispatched without any problems. WELL! You guessed it, Things are not going as expected at the moment. Nearly a month has passed, and still no bonus product arrived at my place. (On a bright note, the 1st magazine has arrived) I did the right thing, and emailed magstore customer service, NO RESPONSE after waiting 4 Days. So I decided to call them directly, using the 1800 number provided on their website. It seems they must be having lots of problems at the time. I had difficulty getting a line through to them (Constantly engaged) and when I did finally get my call to connect, I was placed back in a Que and forgotten. OKAY: Time for a Deep Breath or two, and listen to some background noise on the phone. After a few minutes I Finally got to talk to someone, but for only a few seconds, the moment I mentioned I had a problem, and offered my Invoice number. I was PUT BACK ON HOLD. (It seems the girl I spoke to, didn't want to know me.) All I wanted was a time frame for delivery, so I can make sure someone will be around to be able to take delivery. So Now Out Of Frustration: I have put together this short rant, to let others know if things go wrong with your magazine subscription with Magstore, you are in for a hard time getting any reconciliation from them. So now trying a different kind of approach: I sent another email, this time direct to the magazine publisher, in the hope that they will get an answer for me. Jazmin, one of the journalists got back within an hour of me contacting the publisher, and passed my details onto the head of customer service. I now will wait to see what happens next. P.S. I ALWAYS Use PAYPAL in these sorts of transactions, its a bit of a guarantee in case you need to open a dispute. Happy Ending: Today: August 22nd I finally got the missing Cup Holders (Nearly two month have passed, from my initial order.) Moral of the Story: Don't accept being ignored, no matter how small the amount.